You may have heard KPBX and KSFC's invitation to “become a sustaining member.” It’s a nice sentiment, but what does it mean and why is it so important to the longevity of Spokane Public Radio? Sustaining members also save the stations money. Since initiating the Sustaining program thousands of dollars have been saved in postage and printing costs for renewal forms, envelopes, and return envelopes. 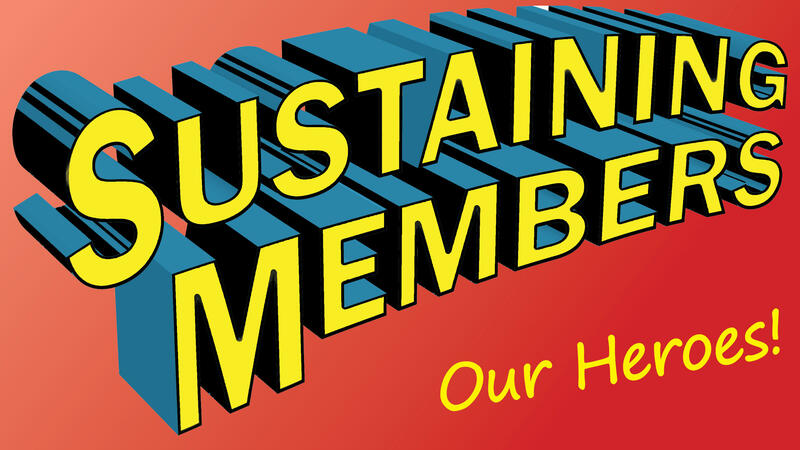 Sustaining members don’t need notices or postage because it’s all done automatically and electronically. The more listeners who become Sustaining Members the more your public radio saves! Donors control how much is given to SPR. An electronic funds transfer can be as little as $3.75 per month – the amount of a basic membership – or as much as you choose. You decide. No renewal notices, no billing, no writing checks or hunting for stamps. installments are withdrawn electronically from your checking account each month. Monthly On-going Supporters ENJOY ENTRY INTO ALL MEMBERSHIP DRAWINGS, both Spring and Fall. Get started as a Sustaining Member with this form or by calling the station at (509) 328-5729 or 1-800-328-5729. For membership or account information, please call or email membership@kpbx.org.